Whether you want to add value to your property to sell on or simply make the most of extra space, homeowners are becoming savvier when it comes to making house improvements. 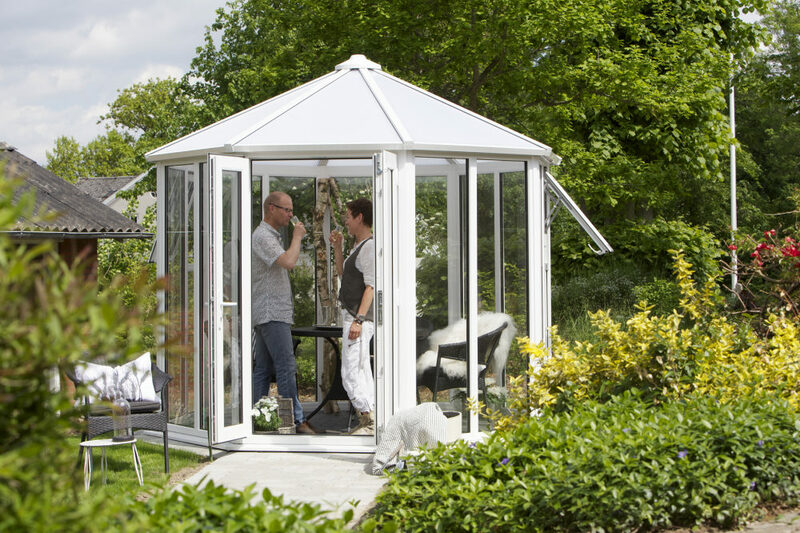 Nordic Garden Buildings, the UK’s leading supplier of beautiful UPVCu garden rooms, explains why consumers are embracing a ‘don’t move, improve’ philosophy and adding extra rooms in their gardens. A recent survey suggests that, for the first time in years, space has overtaken location as the key factor when looking for a new home, with as many as one in six people dissatisfied with the size of the rooms in their home*. Faced with a stagnant housing market up until a year ago, homeowners were forced to consider ways of improving their home and maximising use of space rather than moving on. Now in 2015, the property market is booming once again thanks to a more stable economy and interest rates that still remain at a record low. This current upsurge is justifying more reasons for home improvements to be made, with savvy homeowners looking at smarter ways of adding value to their property. An extension is of course one popular way of utilising space and adding an extra room. However, considerable costs, not to mention having to go through a lengthy process of obtaining planning permission can prove to be a major headache. Some consumers may be surprised to learn that the garden room is an alternative solution that affords the luxury of living space without having to endure such a headache. As it is classed as a free standing building, it also means no planning permission is required. Regardless of how much space we have to start off with within our homes, there is always the need for more, which is why garden rooms boast an ideal solution. Most homes in the UK have a garden or similar outdoor area. To have your very own garden room doesn’t mean that a large garden is a must. In actual fact, garden rooms come in many varying shapes and sizes, whether a small pod for a small office space or a larger room that demands more social occasions. Unused spaces can easily be turned into an extra living or working space, with some of the most common uses for garden rooms including a home office, a place for a peaceful retreat or entertaining areas where you and your guests can relax and enjoy the peace that the garden area offers. In short, it provides you with a comfortable and inspiring space every day of the year, whatever the weather. A major piece de résistance of a garden room is that it can possess all the features of a conservatory without making any structural changes to your home. What’s more, an equally important aspect for those wishing to sell on or stay put, is that the cost to set up one of these rooms is very low, providing relatively inexpensive building and installation. In fact, assembly is rather quick and won’t cause any of the household interruptions that can come along with a home extension. More often than not, the value added will be significantly more than the cost to set up the room, which is in itself an attractive feature to home buyers. Another unique selling point found in a garden room is design and style flexibility. There are a wide range of styles afforded by such a room to suit everyone, from sleek, contemporary designs to the more traditional and homely. Contemporary style garden rooms have dominated the market over recent years, but recently there has been a resurgence of softer, more traditional designs. The Nordic range, for instance, offers an extensive range of styles, sizes and roof types not to mention six colour options to suit all tastes and budgets – in total there are over 4,000 different combination to choose from. The range also comes with a unique roof beam construction, meaning its gutters are load bearing and blend into the building making it difficult to notice them. Whether your preference is ‘old school’ or something a little more modern, a garden room can be tailor-made to what you want, providing you with your own personal space that is fully insulated, double glazed, electrically fitted and secure. Fully equipped with sockets and fittings for power and connectivity. Being double glazed allows cost effective and efficient heating in winter. Made with high quality, durable materials. Multi-point door and window locks. It could be your home office in the day; transformed to a casual dining area at night. Evidently, there are undeniable benefits a garden room brings when considering creating further living space. Not only does it provide a great investment and offer additional value to your property, but it is also a multi-purpose, bespoke solution affording the ideal space for work, rest or leisure in the comfort of your own garden.